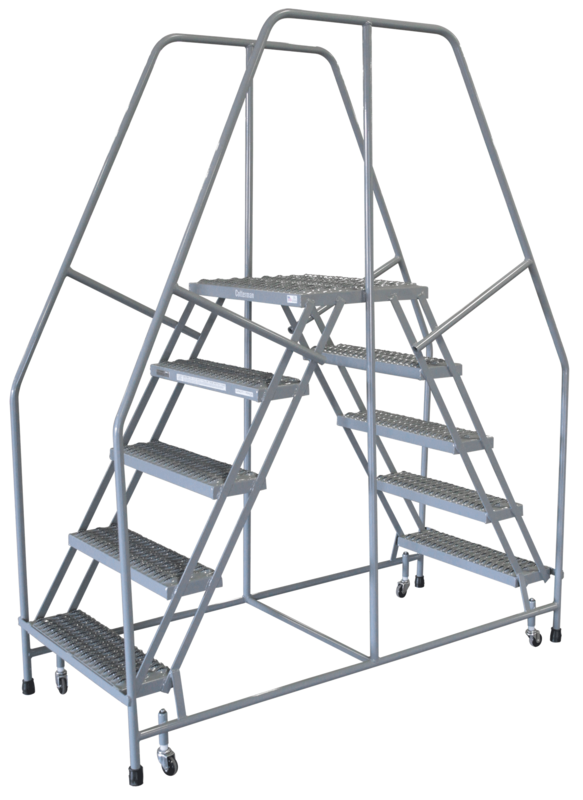 Access from both sides makes these welded steel ladders ideal for narrow aisle use. Steps are 7″ deep and the platform is 20″ deep. Series 3000 ladders meet applicable OSHA and ANSI standards. 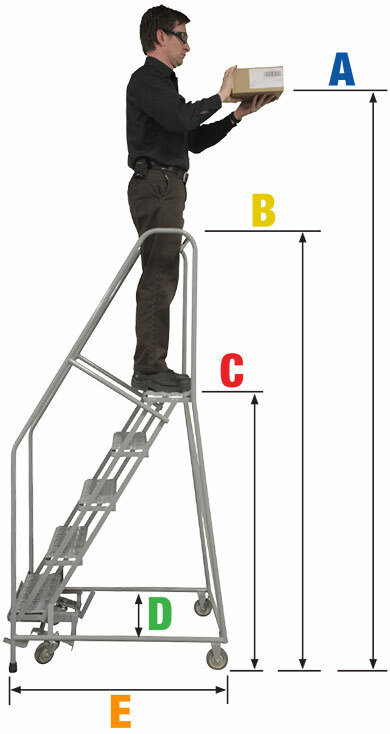 Series 3000 ladders are available in 16″ and 24″ wide treads. 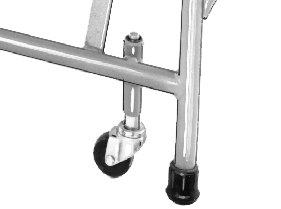 Series 3000 ladders have spring-loaded casters that retract whenever weight is applied. The swiveling casters allow for multi-directional mobility.